There are all sorts of medicines on the market today that help us to feel our best, prevent illness and treat disease. The vast majority of them come in pill form. But some people struggle — for a variety of reasons —to swallow pills. According to data, anywhere from 20 to 40 percent of people in the U.S., regardless of age, have difficulty swallowing a standard-sized pill. Reasons include anxiety about having a pill stuck in their throat, a hypersensitive gag reflex, acid reflux disease or emotional reaction to an illness. Whatever the reasons, there are ways to work though these types of swallowing difficulties. 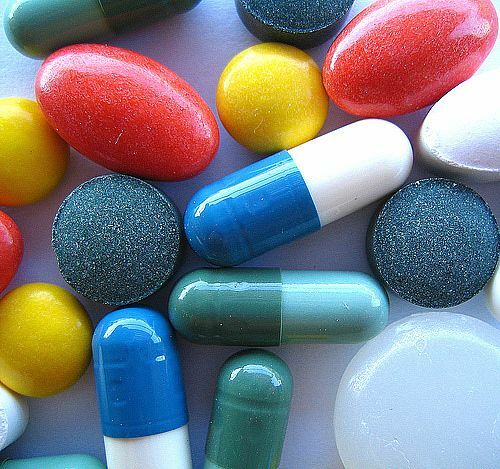 A systematic review in the journal Pediatrics looks at interventions that can help children and adolescents overcome pill-swallowing difficulties. The review is on the small side, including only five studies in total. And one of them was considered of poor quality. But it did identify some interventions that can help people as young as 4 years old, and probably adults too, have an easier time swallowing pills. A flavored throat spray used before putting a pill into someone’s mouth can make swallowing easier. Using verbal cues can help children learn how to swallow pills. For example, children can imagine that their tongue is a water slide and the pill is the rider. Specialized pill-swallowing cups have a slot for pills. When the user drinks the liquid in the cup, the pills slides down with it. The take-home message: While a sizeable percentage of the population have difficulty swallowing pills, there are interventions that can help people learn to swallow medicines more easily.